Welcome to the second Dubisode of DubVibes, DubVibes the independent—- Podsafe Podcasting Internet Radio Show, where you hear the very best independent Dub artists from around the world, happily produced and hosted by Me, DJypsy. I received a lot of positive feedback on the first Dubisode the last couple of weeks, really appreciate that and it gave me a very good feeling about what I’m doing. Thanks so much everybody and I promise there is a lot more to come. So again I have 10 tracks for you + an intro track, this time from my friend Bloik from the UK, go check this guy, he’s doing some wicked stuff…After the 9th track I’ll give you the full detailed tracklist and some more information, followed by the 10th track. I added a little piece of the track “Eye Chant” by Ekayani and the Tom Glide Space from their brand new album “Yoga on the Dancefloor” to the DubVibes intro. In the next Dubisode the intro track will be from that album. Thank you all for listening, I hope you liked the tracks I picked for you this time, if you did, tell at least one of your friends, and maybe you can bring some love to the artists, by telling them that you like what they do, maybe even buy some of their stuff, when possible. Big respect also to all the artists, for sharing their music and giving me the oppertunity to play it on the DubVibes. All the music was legally downloaded from ReggaeDubWise, the PodsafeMusicNetwork, Magnatune, Jamendo, IODA Promonet, ideology.de and Versionist or send to me by the artists. You can also send me your own Dub tracks, just drop it @ the DubVibes drop.io box. Enjoy yourself and I hope to meet you again on the next Dubisode of DubVibes. DubVibes the Podsafe Podcasting internet radio show that brings the best independent Dub artists from the world to your home, hosted and produced by DJypsy. In every Dubisode I’ll play an intro track, than I’ll give you 10 tracks to enjoy, after the 9th track I’ll give you the full detailed tracklist and some more information, followed by the 10th track. I used a piece of “TheFuture” by Zengineers for the DubVibes intro. 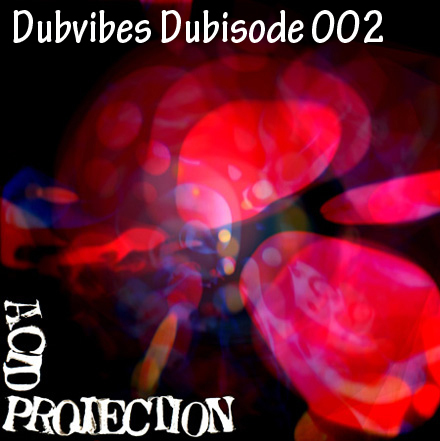 Thank you all for listening to this very first Dubisode of DubVibes, I hope you liked the show. You can also send me your own Dub music, just drop it @ the DubVibes drop.io box. Hope to meet you on the next episode of DubVibes.